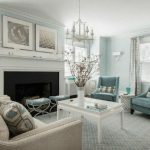 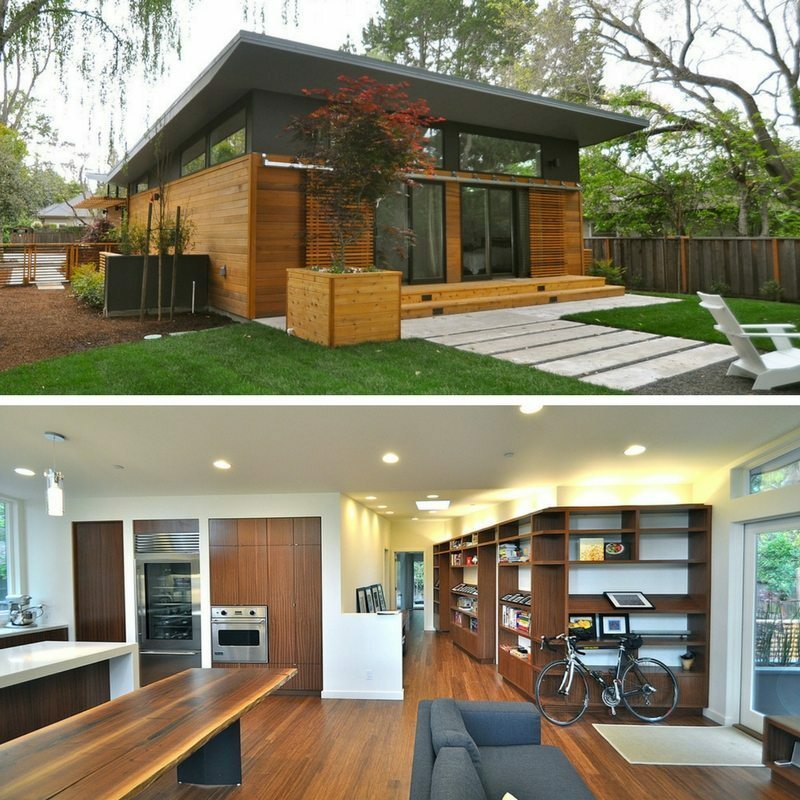 Will we see more homes look like this in 2018? 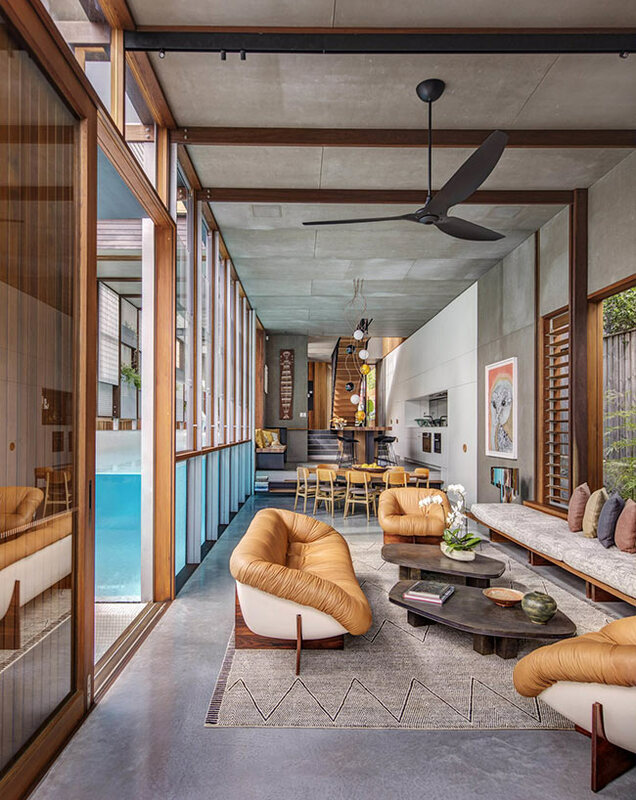 The design industry covers many categories, fashion, architecture, graphic design, interior design, digital design and industrial design just to name a few. 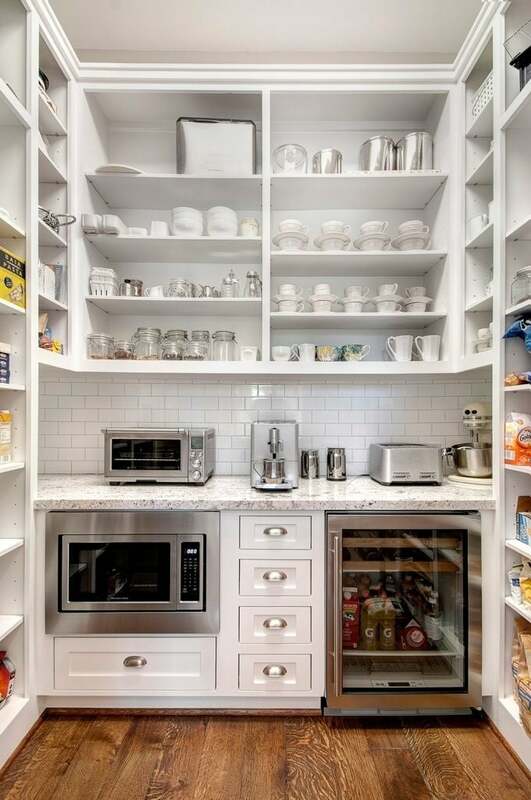 All these categories have one thing in common, their creativity impacts the way you and I live our life. 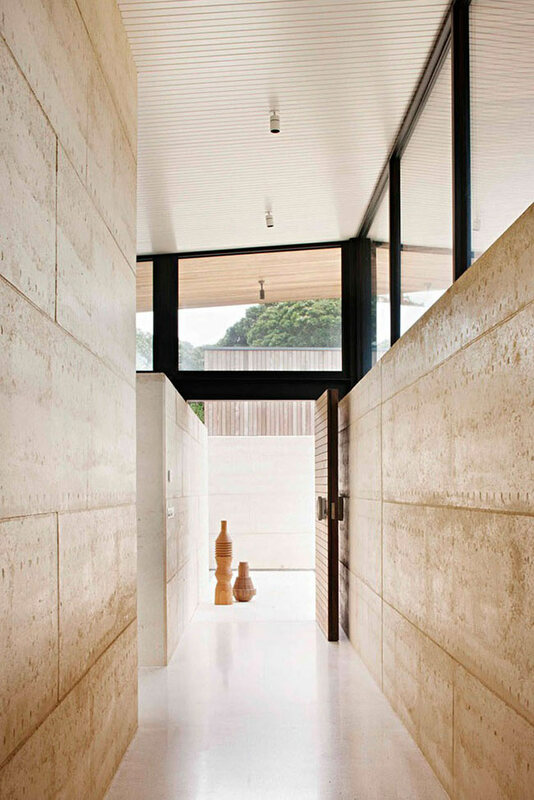 Design never sits still, it is constantly evolving based on technology advancements, culture and the environment. 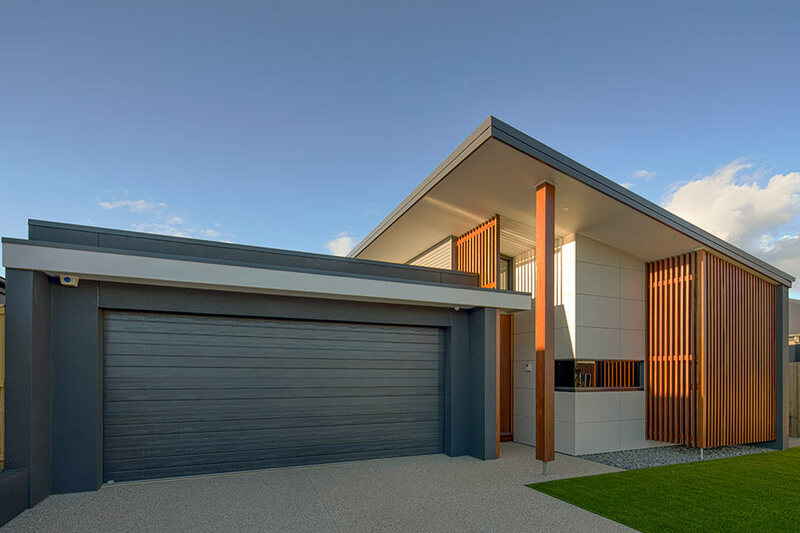 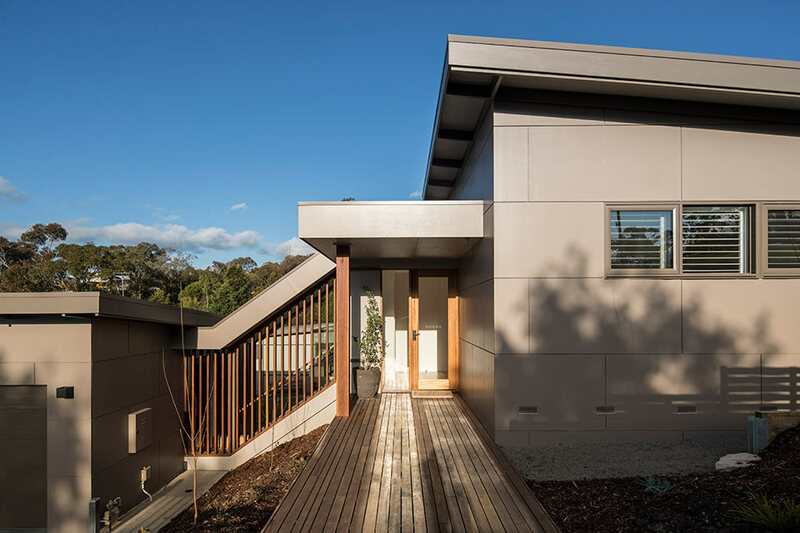 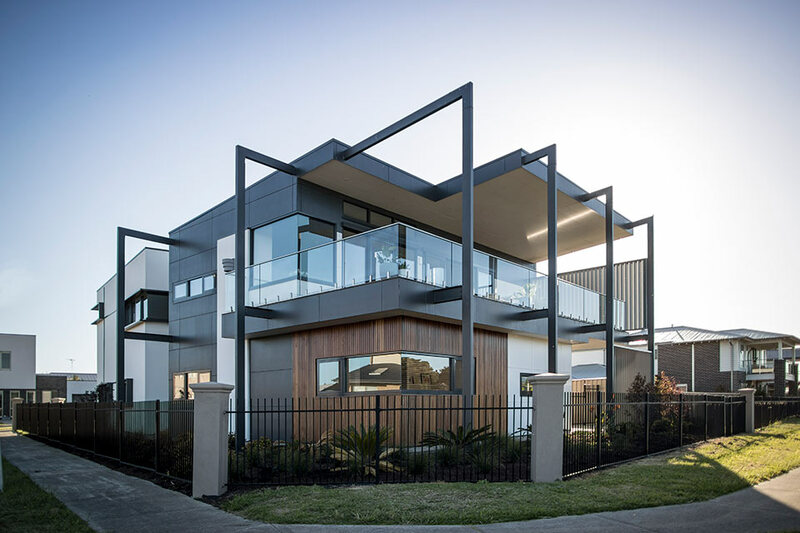 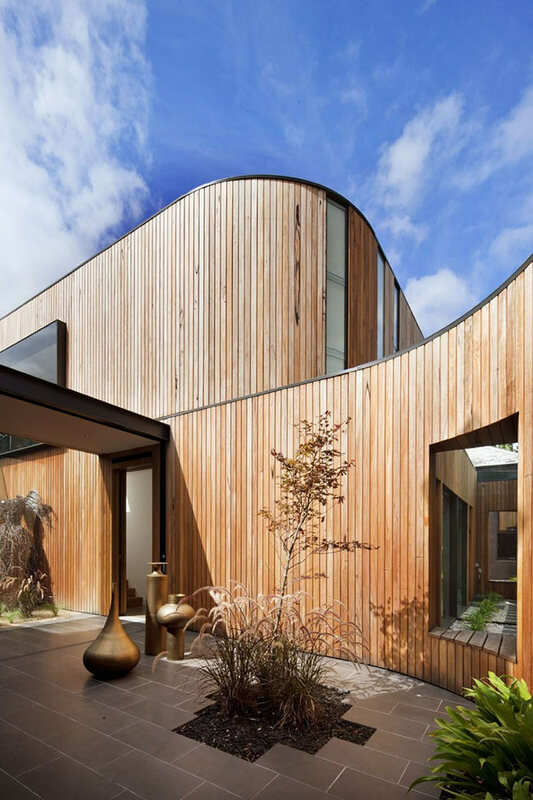 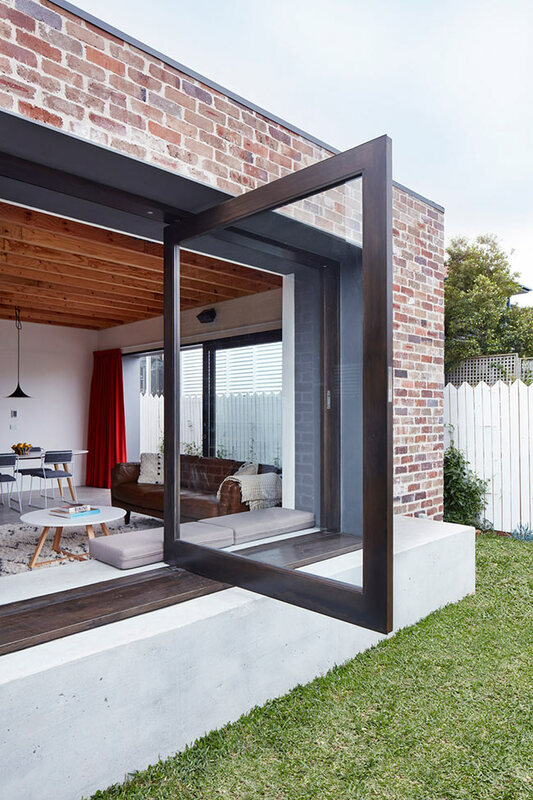 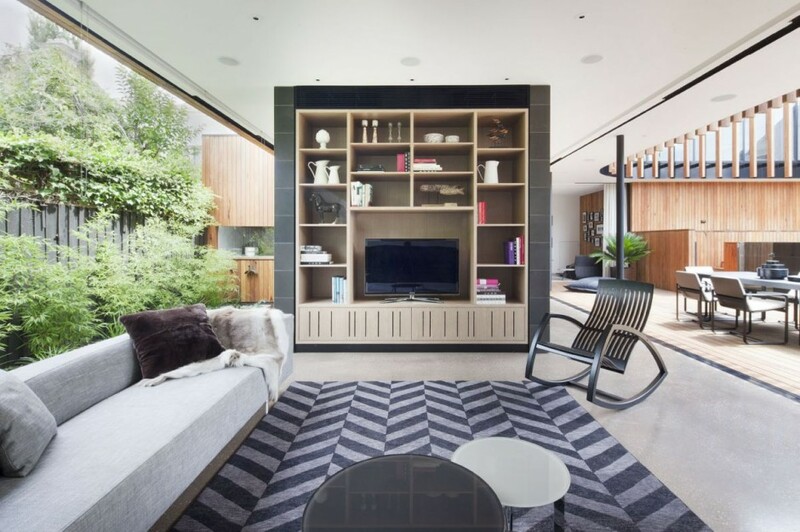 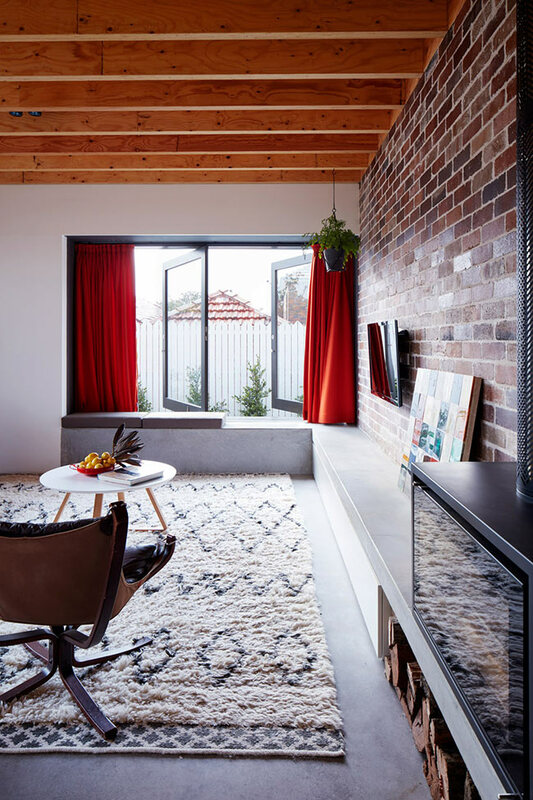 Domain released an article recently which was titled “What Australian homes will soon look like: Architecture trends in 2018.“Using their article as inspiration we thought we’d put together our own version. 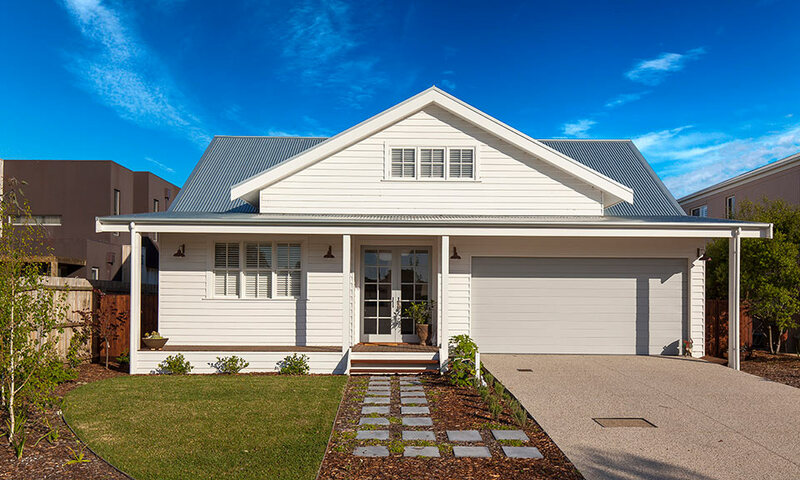 In the Domain article their research revealed five key looks which are set to impact the Australian home market in 2018. 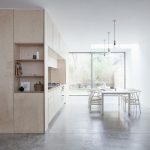 Often design at the highest level, takes time to filter through into the mainstream market, so these five key looks will not be new to you Architecture buffs. 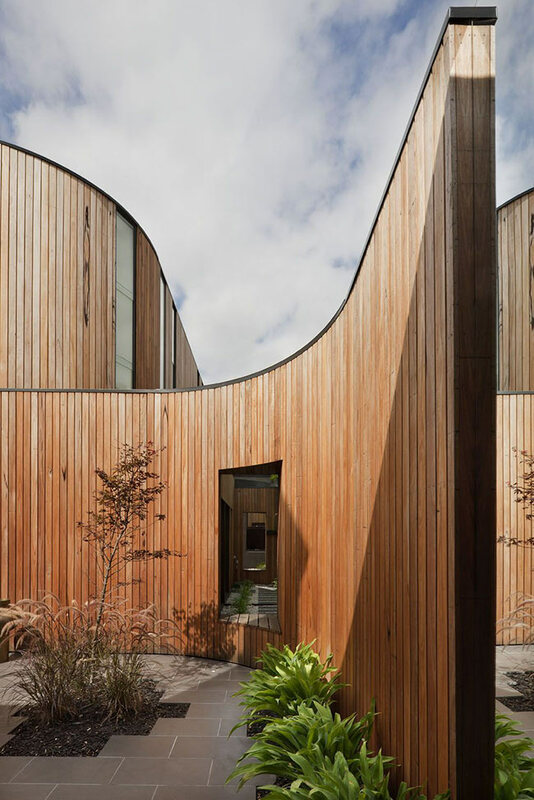 These two houses we came across during our research could fit nicely into two of our categories, Circles and Curves and Natural Materials. 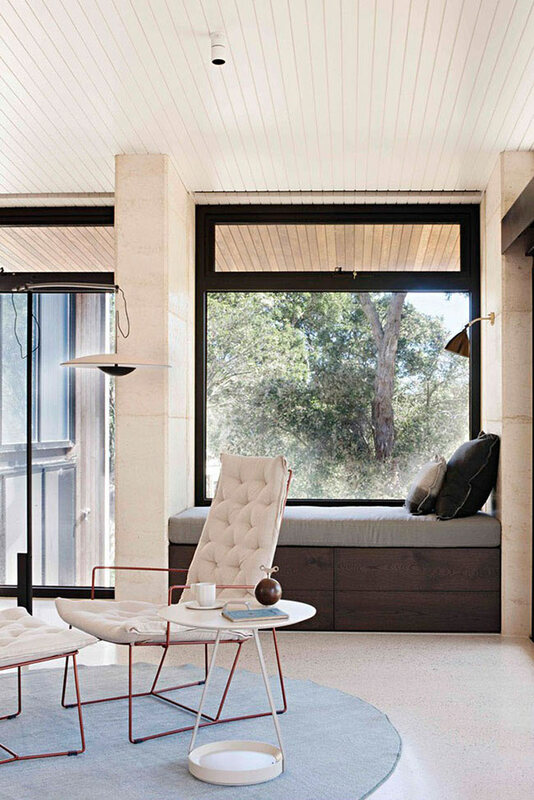 This says a lot of the new trends we are seeing more of. 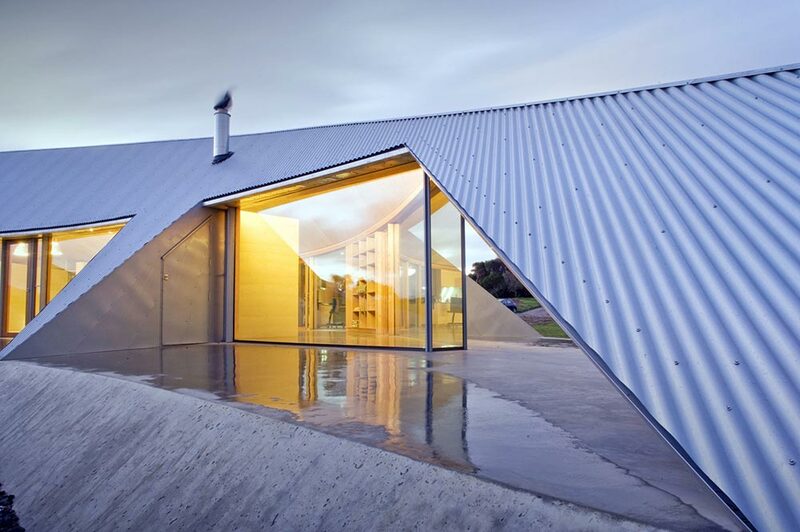 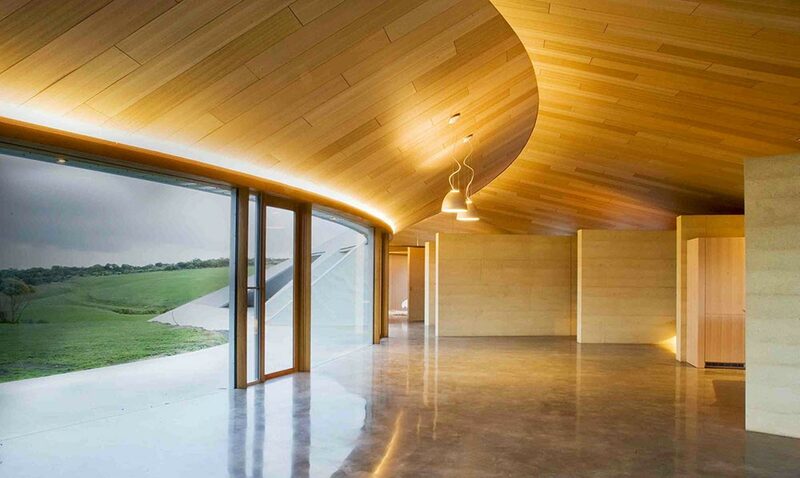 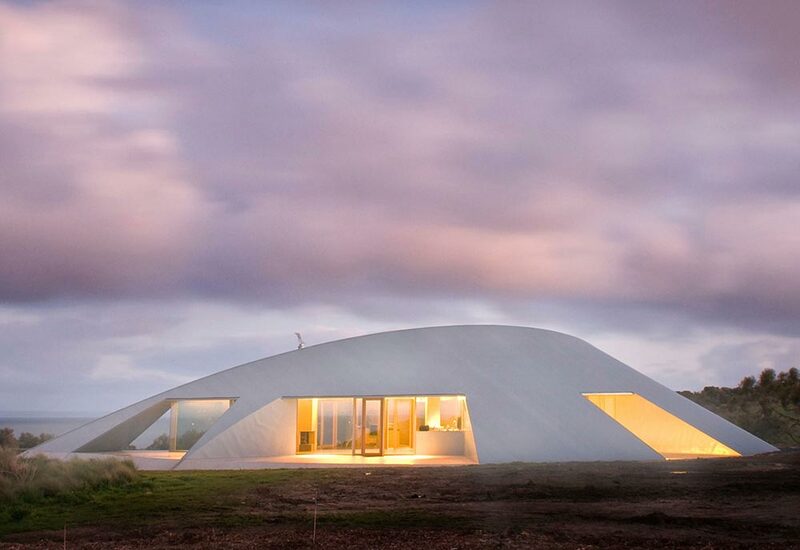 Both these projects are based in Victoria, “Croft” is in a rural location and has a striking futuristic look. 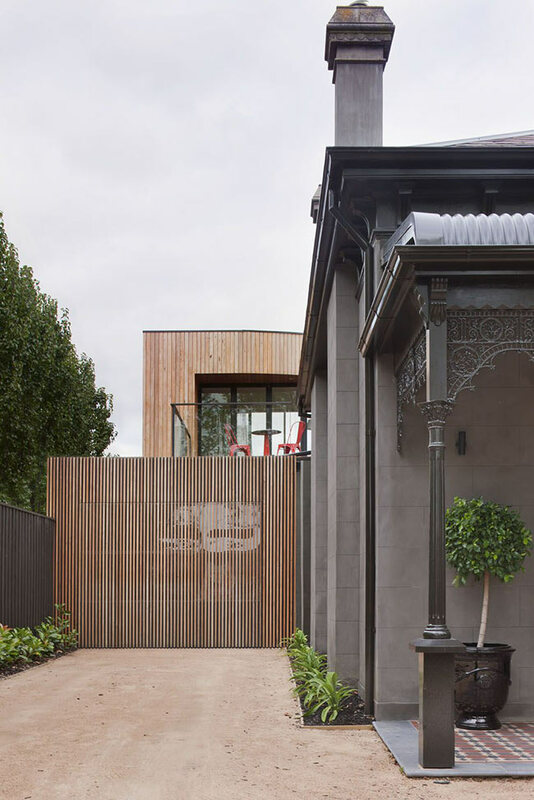 While The Kooyong House is based in Kooyong Melbourne. 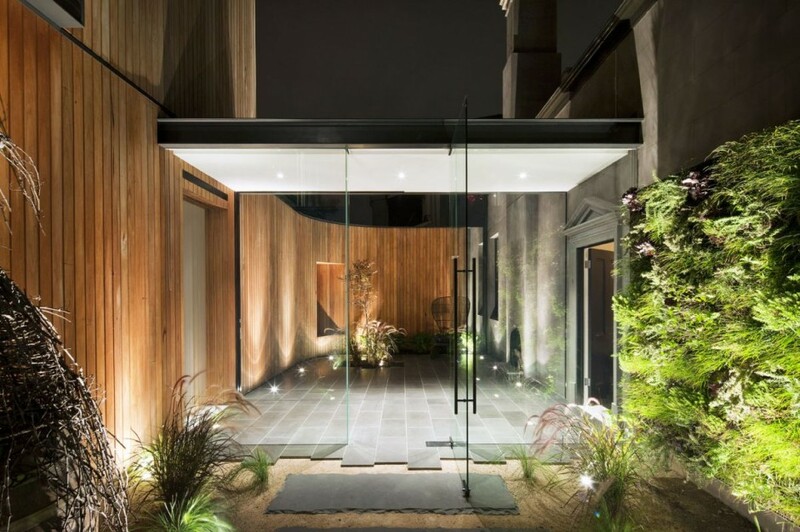 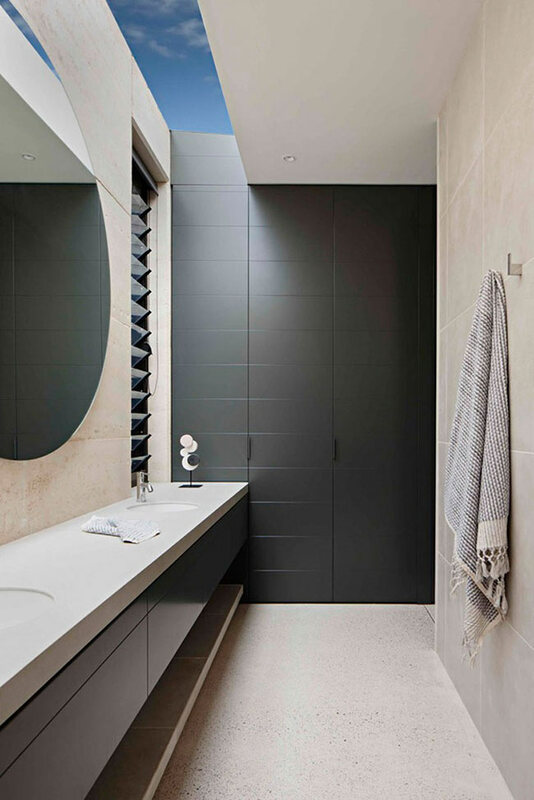 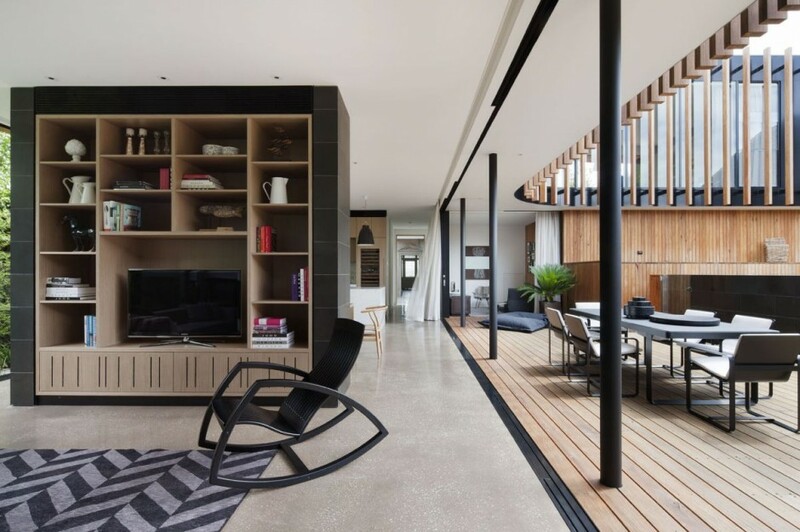 Croft is a project completed by James Stockwell Architects. 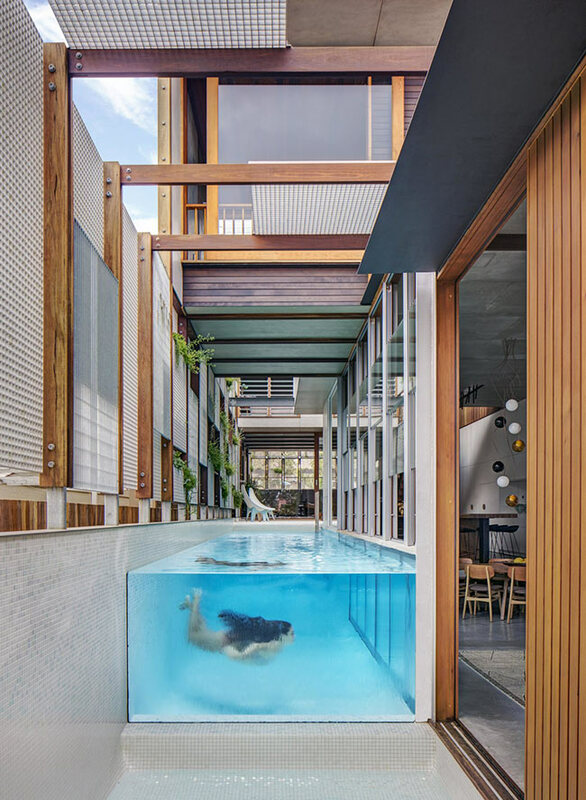 With block sizes getting smaller, the above ground pool (we are not referring to the inflatable type), is often integrated into the house design. 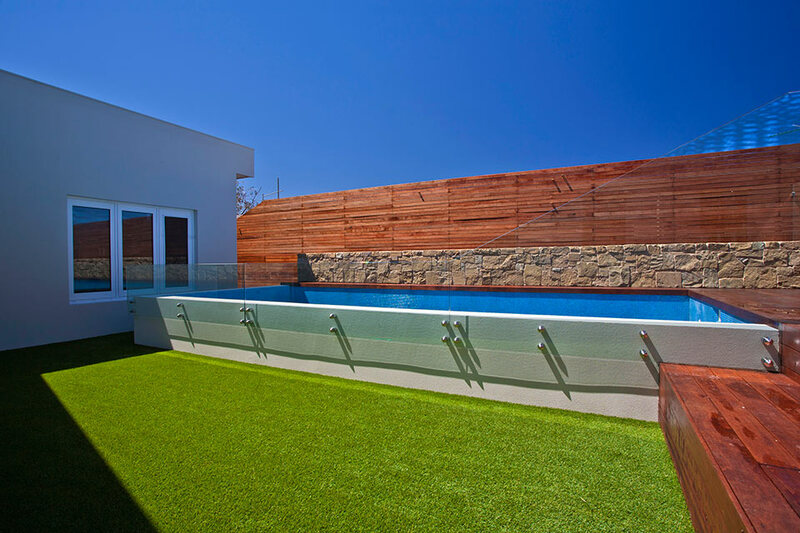 Laps pools don’t require a large area, and when designed well can often add more than just a place to swim laps. 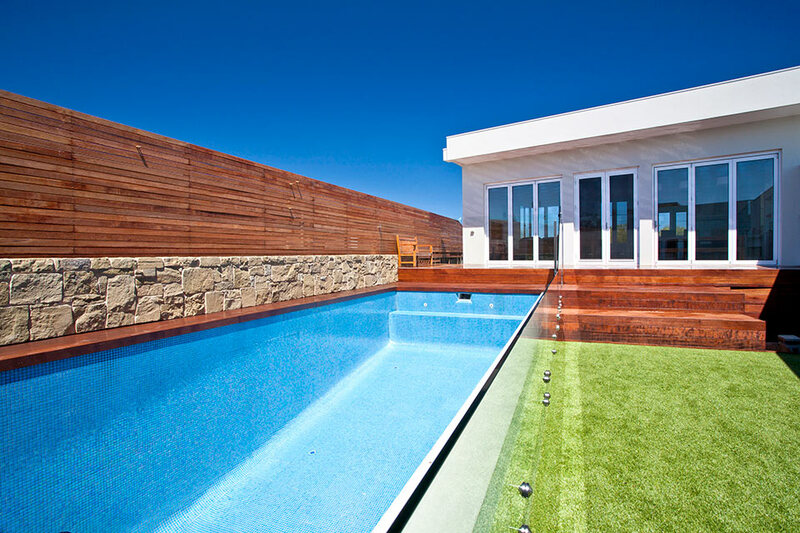 Australians do enjoy the view of water, so a well placed pool can offer a 24 hour vista. 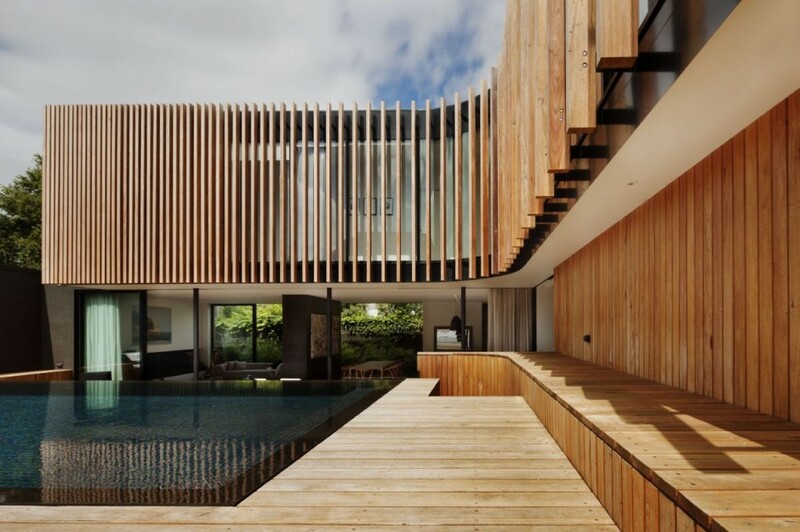 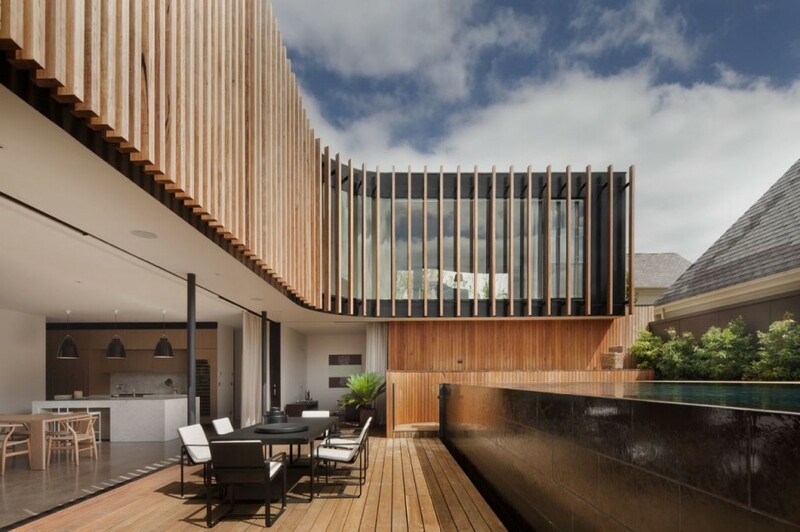 Our research revealed this wonderful North Bondi Beach House which utilises many natural materials and has a unique way of using the above ground pool. 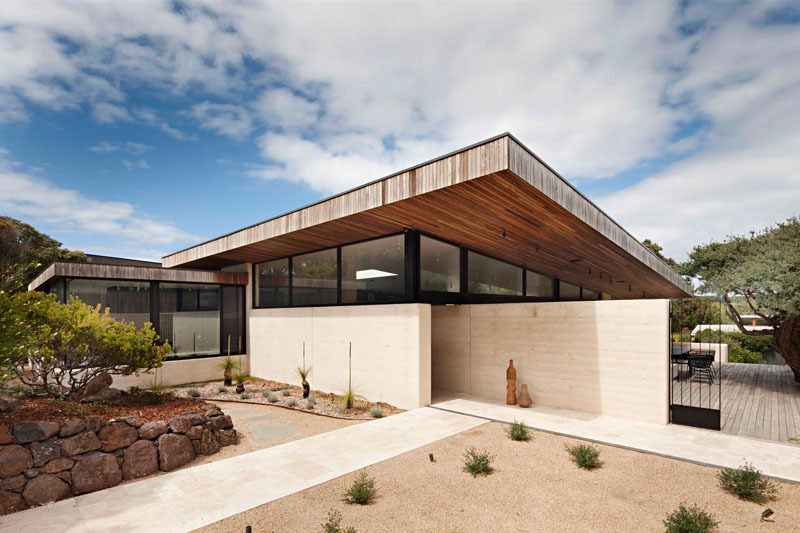 This is one of our homes, learn more about this Torquay Sands property. 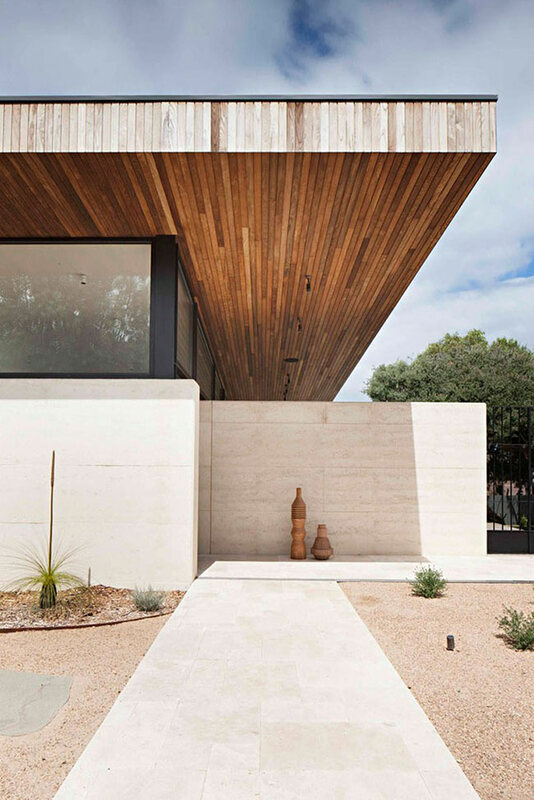 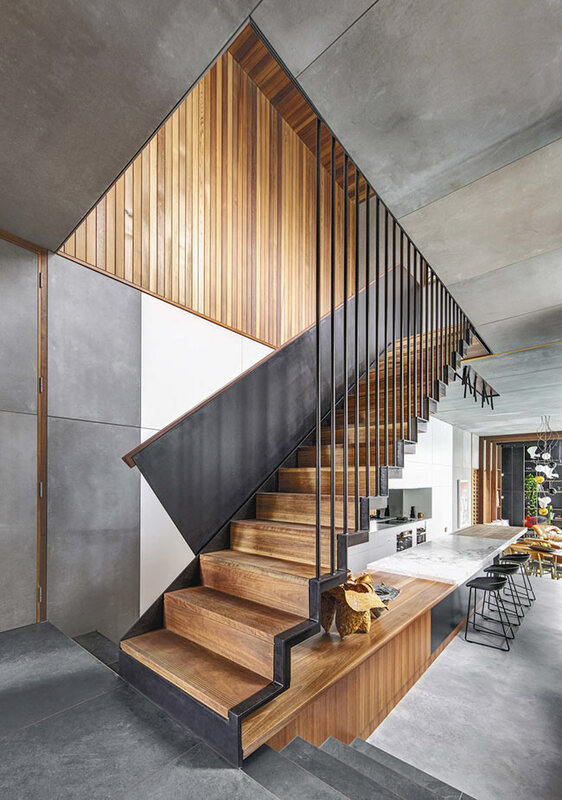 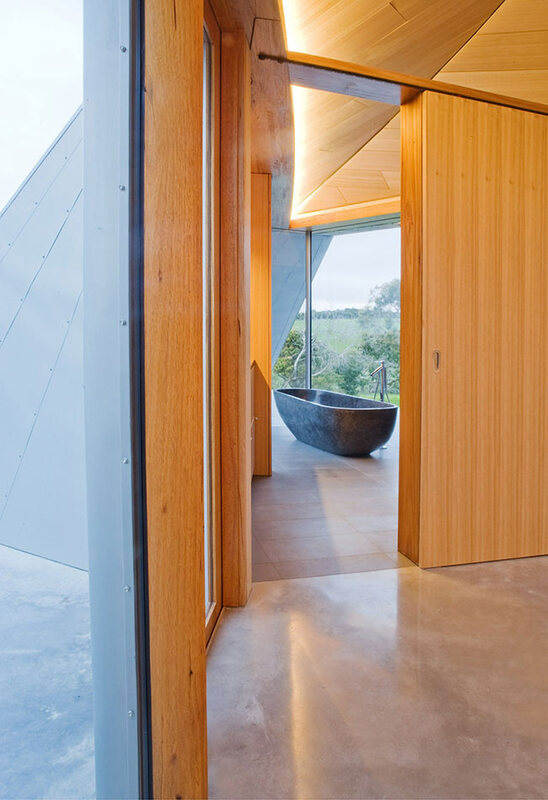 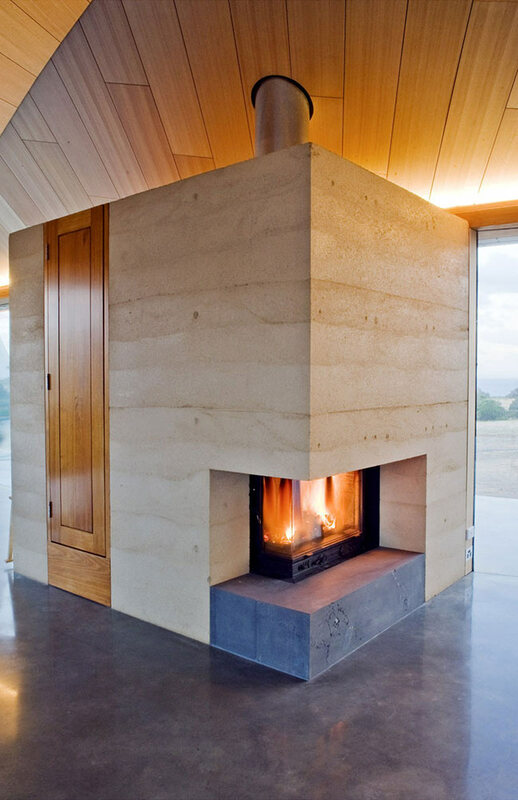 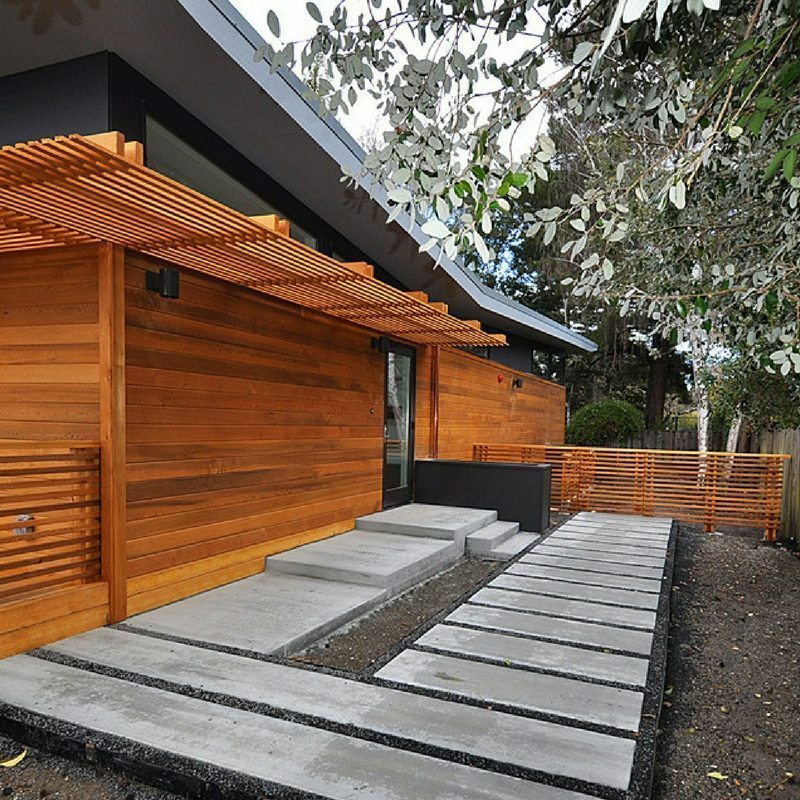 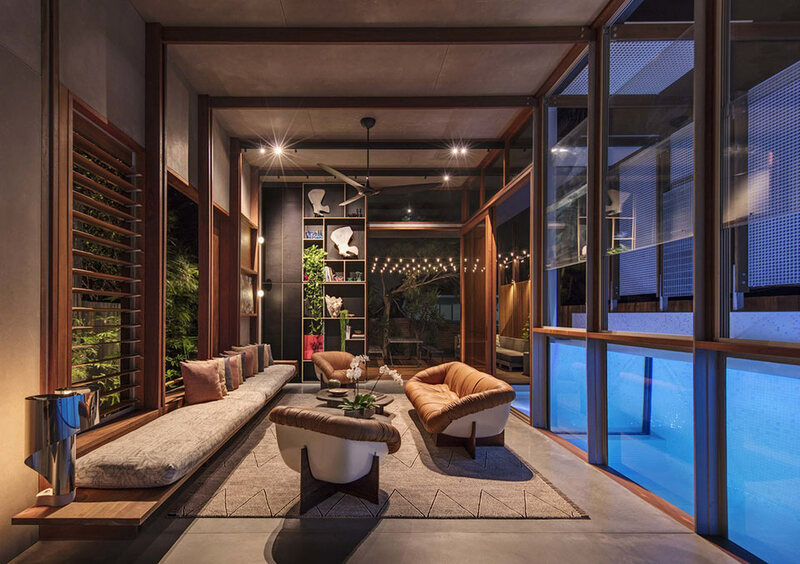 Using natural materials is nothing new in Architecture, in-fact architects in general love the natural beauty of concrete, timber, tin and metal. 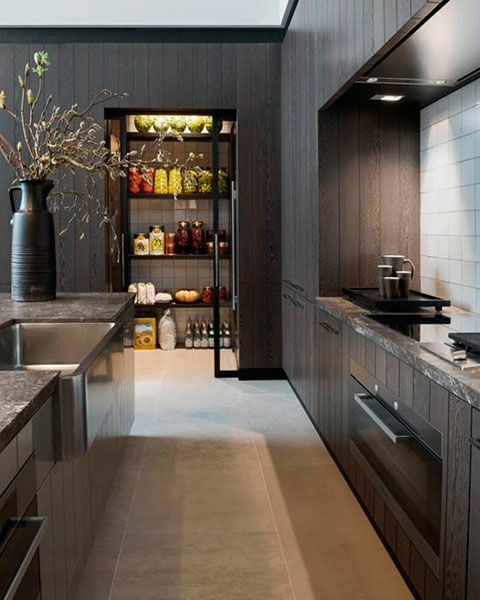 They revel in the industrial aesthetic which has become very popular. 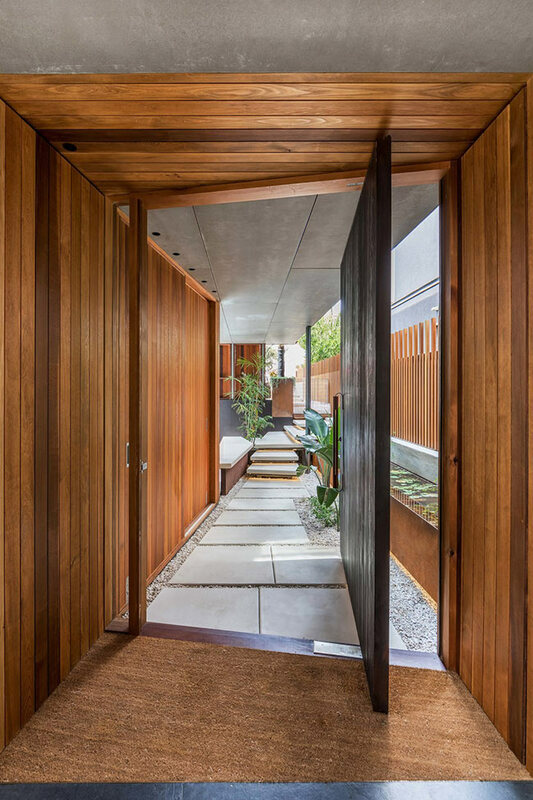 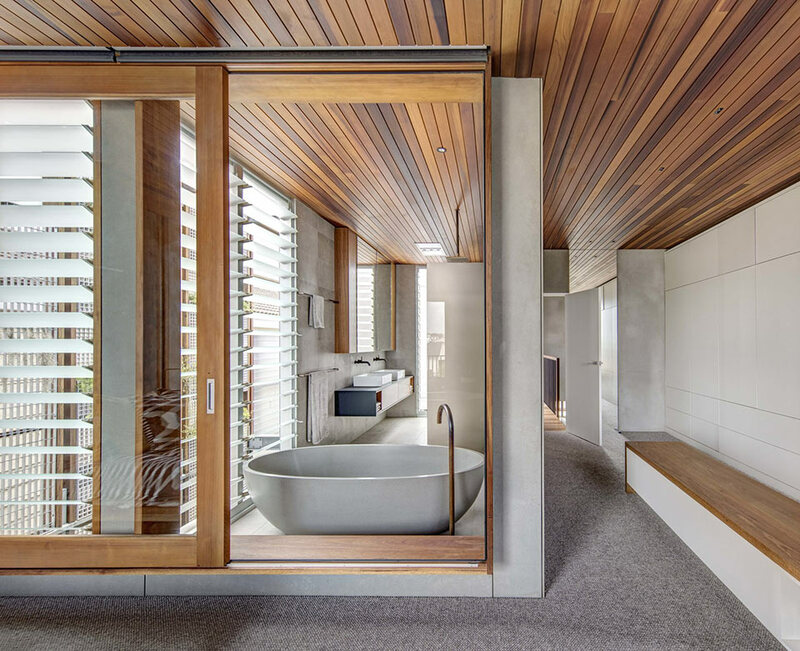 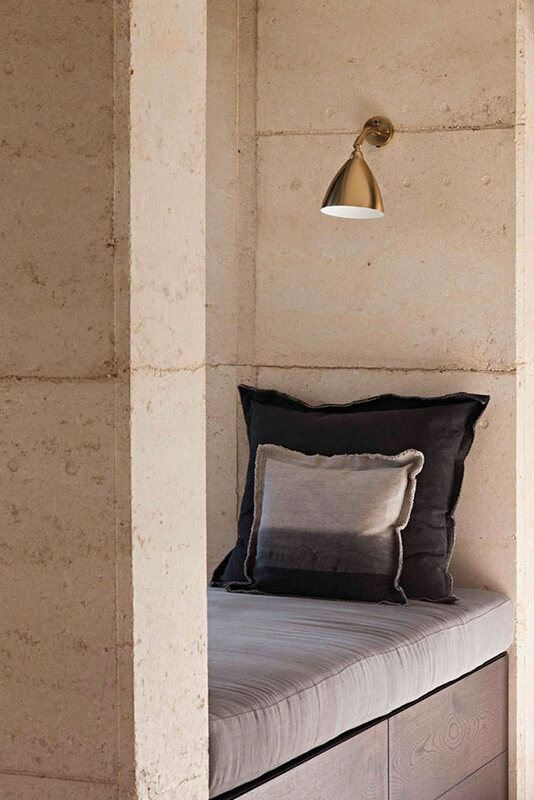 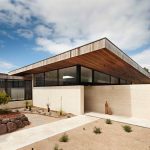 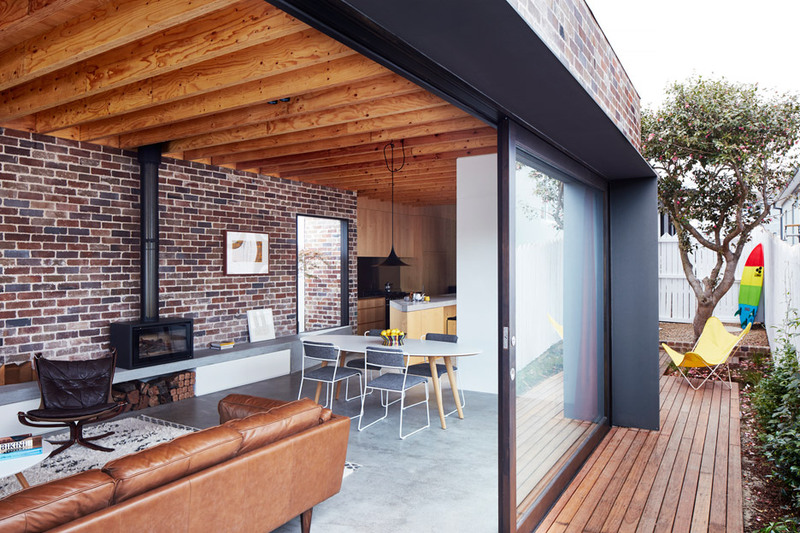 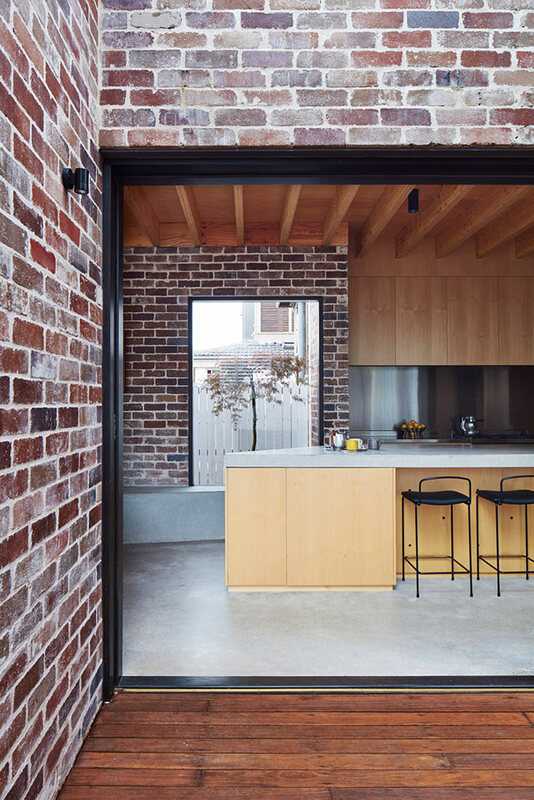 In 2018 instead of glass and metal cladding Domain’s article suggests we will see more concrete, exposed hand-crafted brickwork, rammed earth and timbers to bring warmth and texture to their homes. 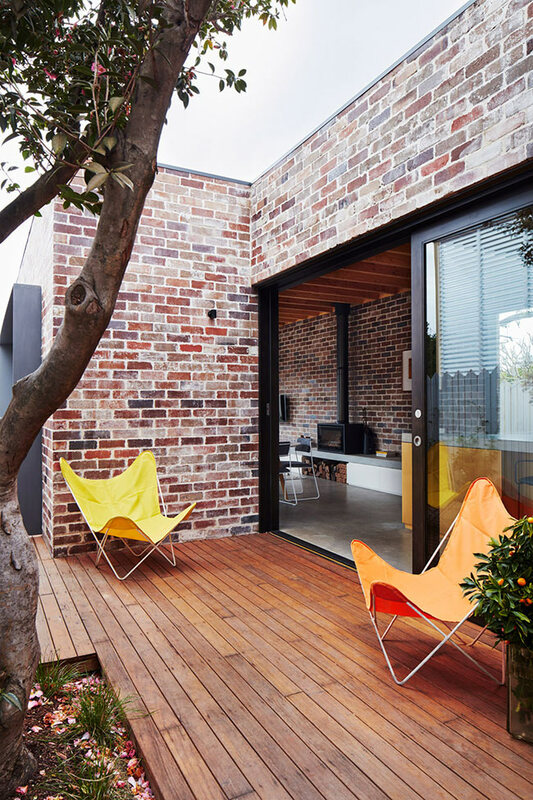 “People now want simplification of spaces, but without comprise to their quality of life. 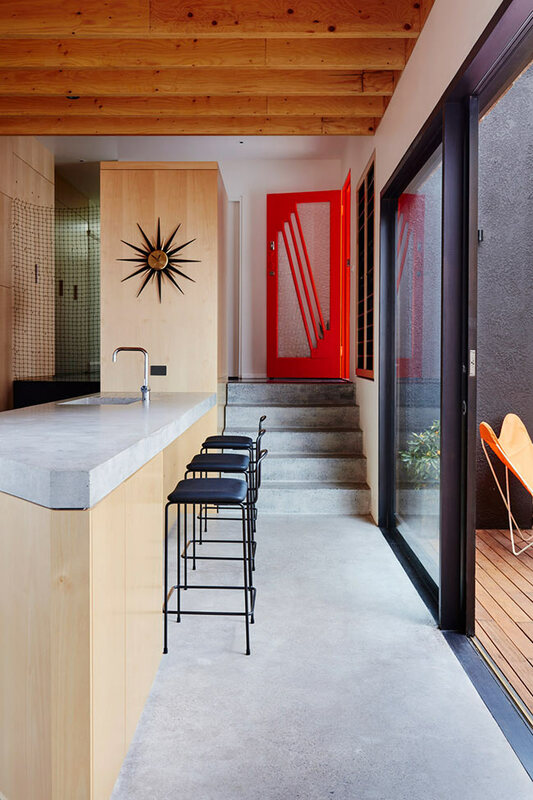 This means that builds will need to consider the multi-use of space and ease of living in all aspects of design,” says Bill McCorkell, architect and director of Archiblox. 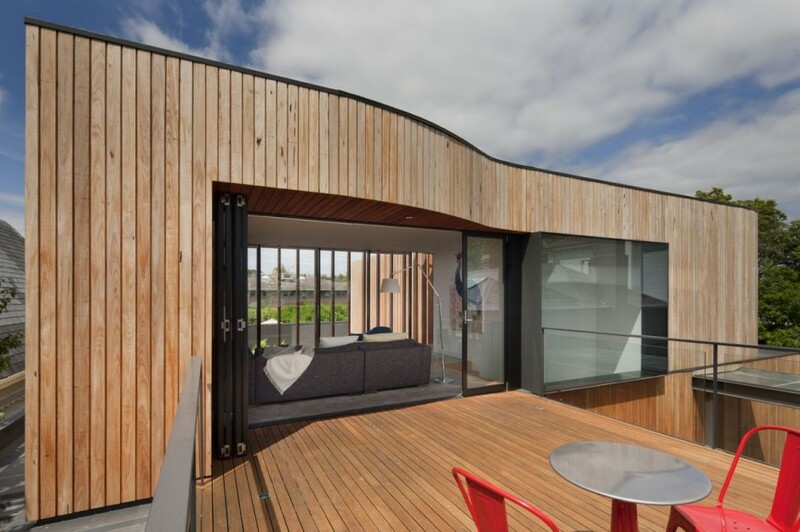 This small home is actually built from shipping containers. 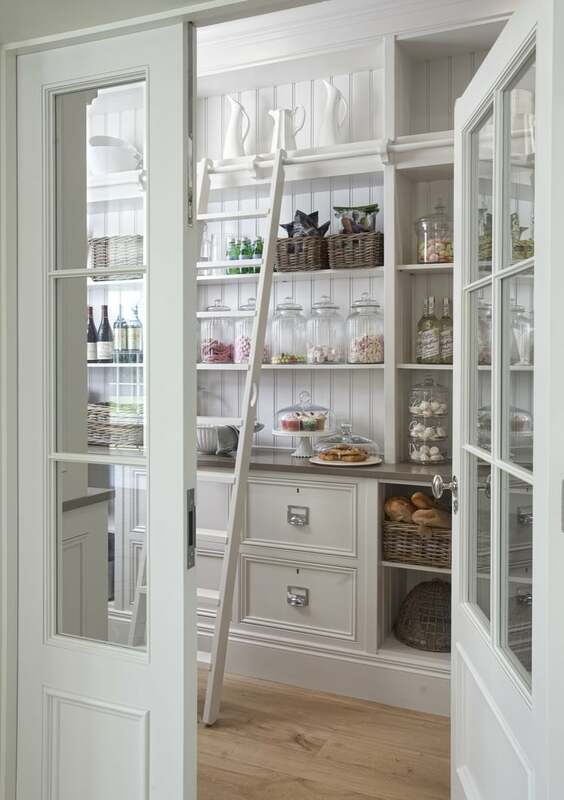 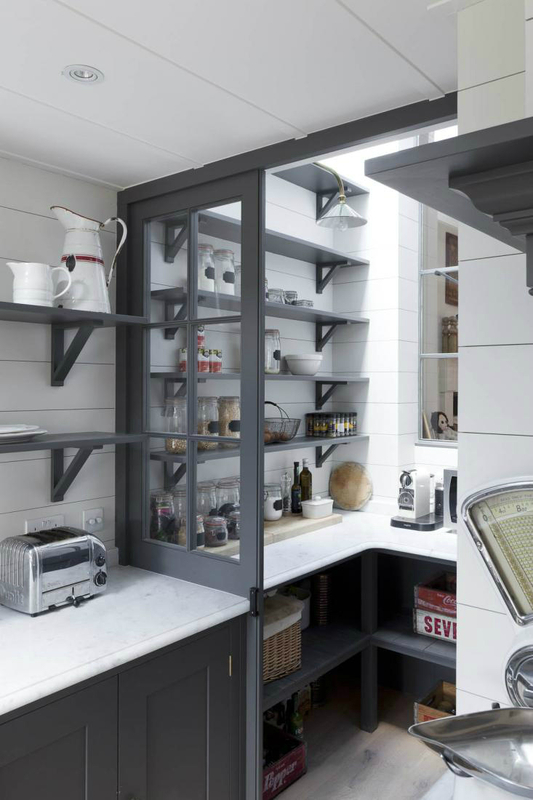 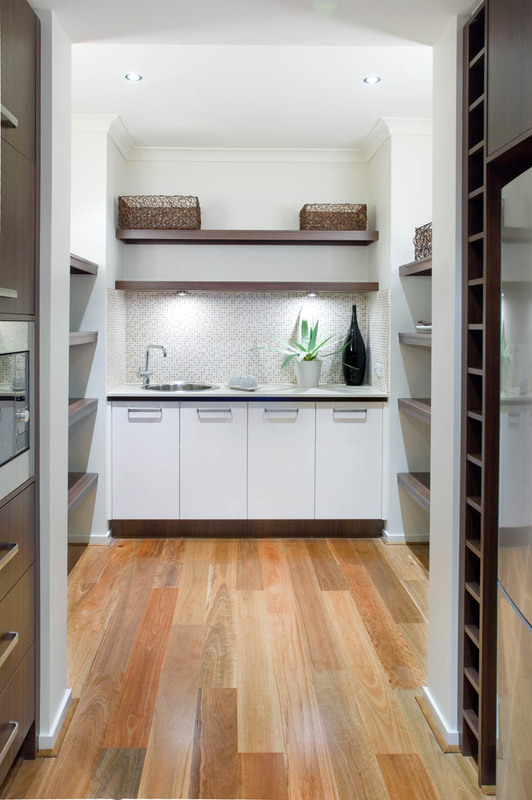 After years of kitchens being placed at the centre of open-plan living areas, more home-owners are embracing the concept of hidden preparation kitchens. 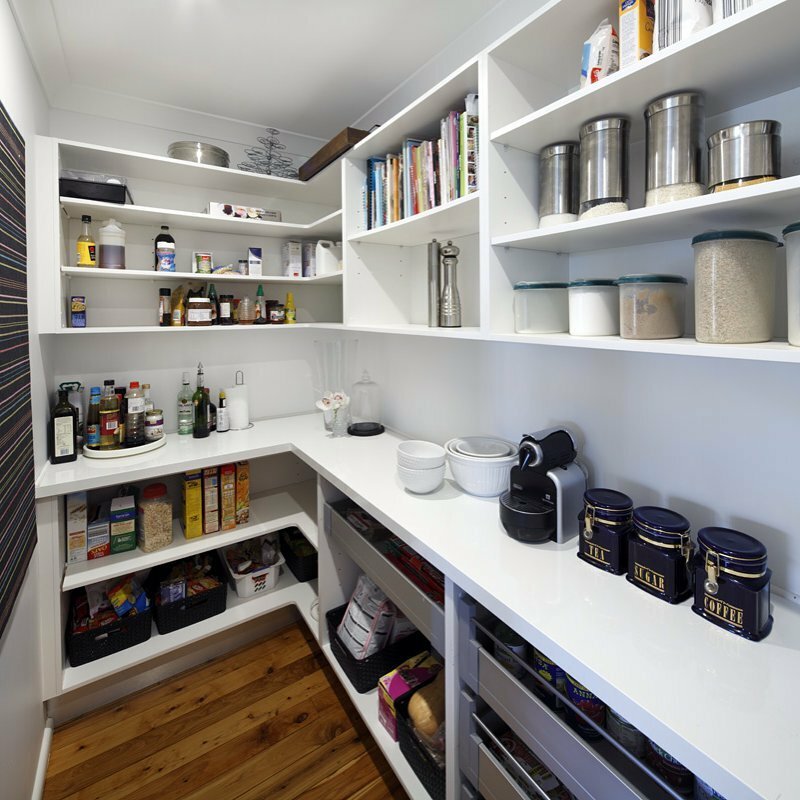 Often referred to as a Butlers Pantry, they are a separate room off the main kitchen used to prepare food, store food, appliance use and rubbish collection.